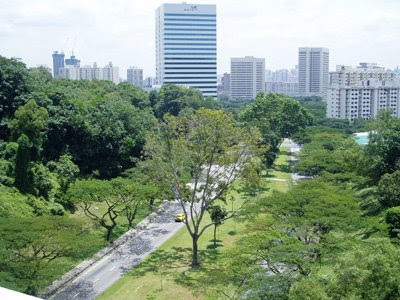 sParks is a location-based application (for iPhone or Android platform) that aims to enhance a visitor’s experience at Singapore Parks, Gardens and Park Connector Network (PCN) by providing useful information and social features for park visitors. 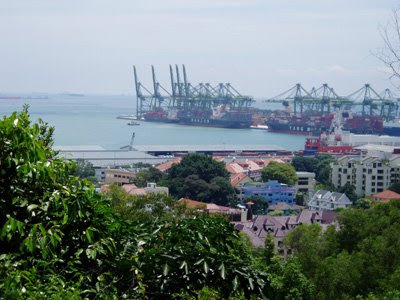 Marang Trail -> Mount Faber Park (Faber Walk) -> Henderson Waves -> Telok Blangah Hill Park (Hilltop Walk) -> Forest Walk -> Alexandra Arch -> Horticulture Park (or HortPark) -> Flora Walk -> Canopy Walk -> Kent Ridge Park. I reached Alexandra Arch at around 13:05 pm. The whole walking journal from Marang Trail to Alexandra Arch took about 1 hour 20 minutes. 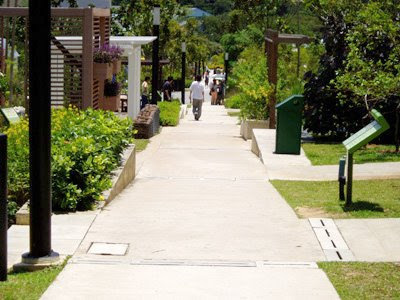 01) Coming out from the Harbour Front MRT D Exit/Entrance (on the Left Hand Side, LHS), you will see this short path that leads you towards Marang Trail. 10, 30, 57, 61, 65, 80, 97, 100, 131, 143, 145 (bus stop opposites Harbour Front MRT only), 166 (from Clementi bus interchange), 855. 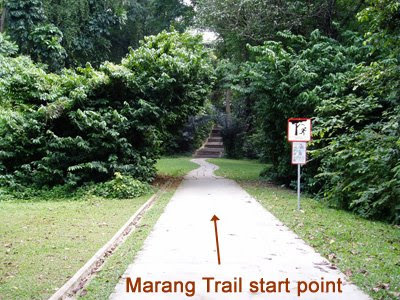 02) Marang Trail Start Point (about 0.8 km). There are no light install along the trail. Hence, it is not advisable to walk in the night. 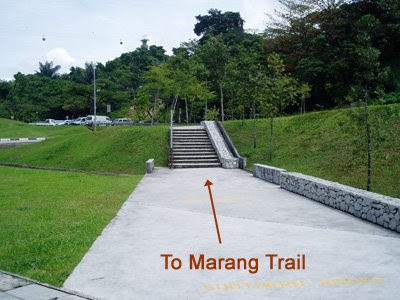 The Marang Trail has many staircases for you to walk up to Mount Faber Park. It is equivalent to walking up to 24 storey height. 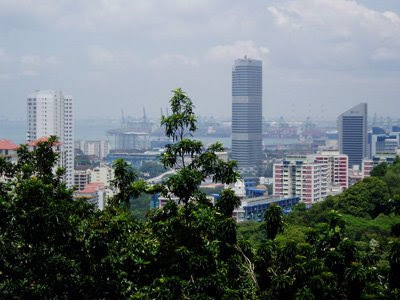 03) Mount Faber Park View 1. 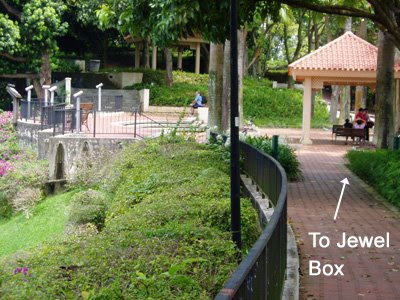 04) Once you have reach Mount Faber Park, kindly walks towards the Right Hand Side (RHS) in order to walk along the road that will leads you towards The Jewel Box. 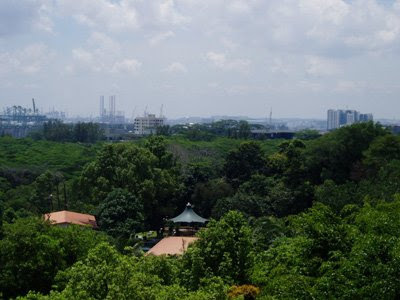 05) Mount Faber Park View 2. 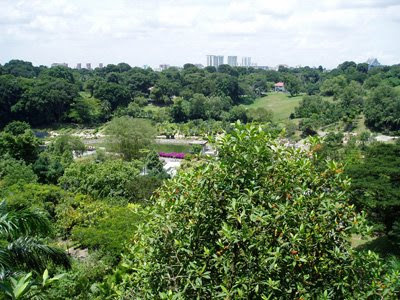 06) Mount Faber Park View 3. 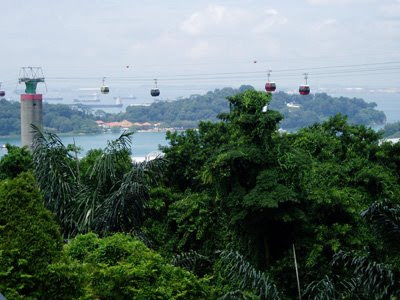 07) At The Jewel Box, you can take a cable car ride to Sentosa island. 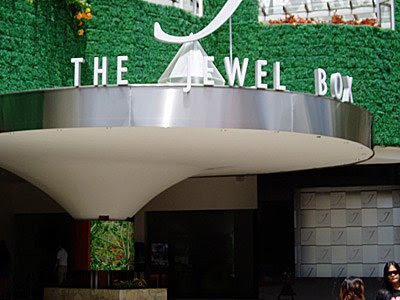 Toilet and restaurant are available at The Jewel Box. 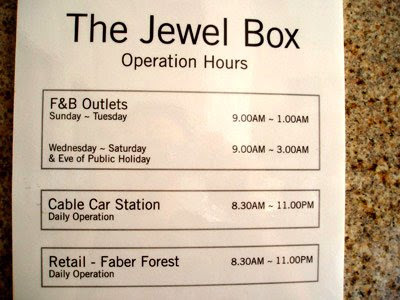 08) The Jewel Box Operation Hours. 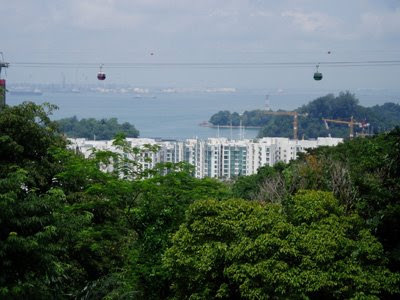 09) Mount Faber Park View 4. 10) After walking past The Jewel Box and keep walking along the road, you will see a refreshment mini shop (RHS) calls The Hill (Bistro). 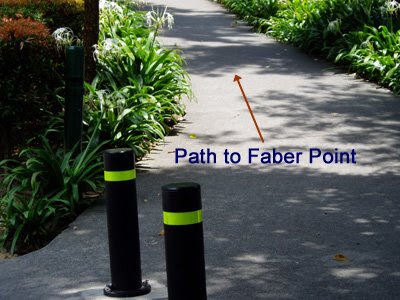 Behind The Hill (toilet available), kindly cross the road to walk to the path that leads to the Faber Point. 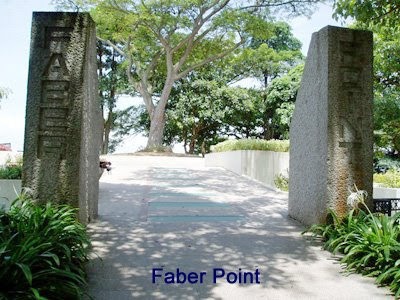 11) Mount Faber Park Faber Point is situated at about 106 metres height and is the highest point of the Mount Faber Park. 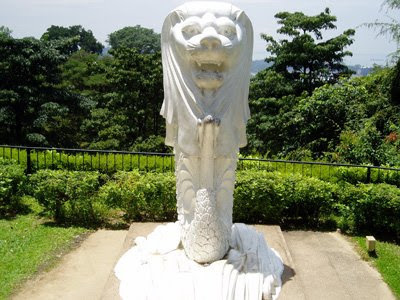 12) Merlion Sculpture at the Mount Faber Park Faber Point. 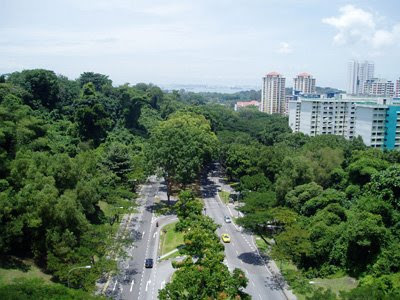 13) Mount Faber Park Faber Point View 1 (LHS). 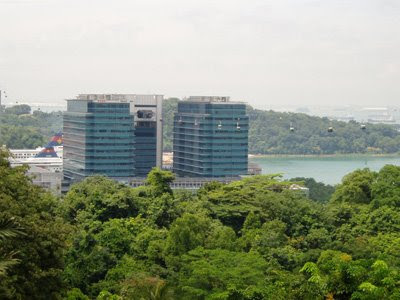 14) Mount Faber Park Faber Point View 2 (LHS). 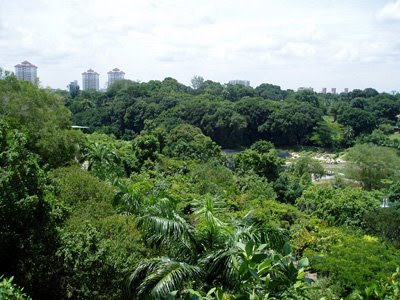 15) Mount Faber Park Faber Point View 3 (RHS). 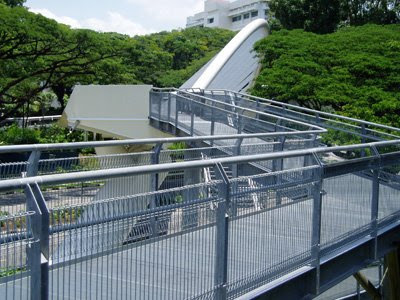 Kindly walk towards this staircase to go to Henderson Waves. 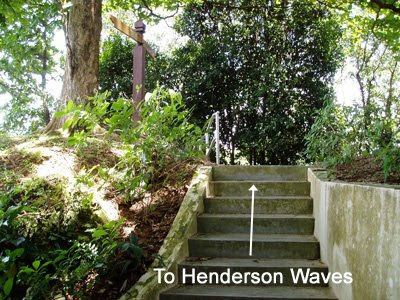 16) Kindly climb up the staircase that leads to the Henderson Waves. 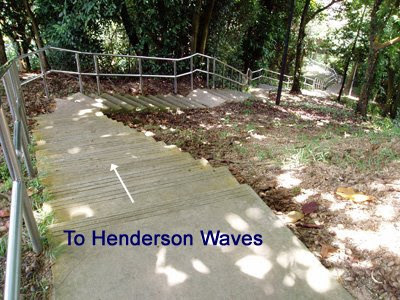 17) Kindly walk down the staircase that leads to Henderson Waves. 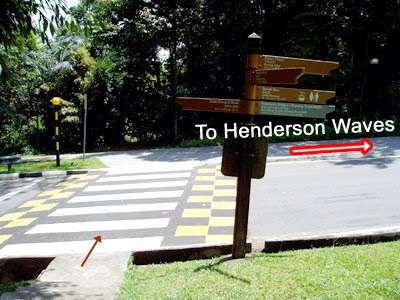 18) At this junction (sign detail is shown in picture 19), kindly turns right to walk towards Henderson Waves. 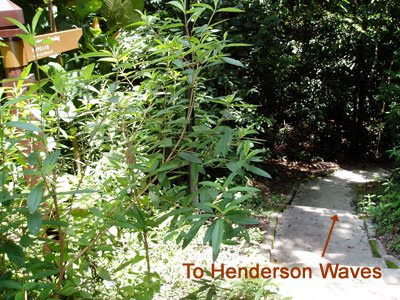 19) The junction sign (also shown in picture 18) that point to Henderson Crossing. 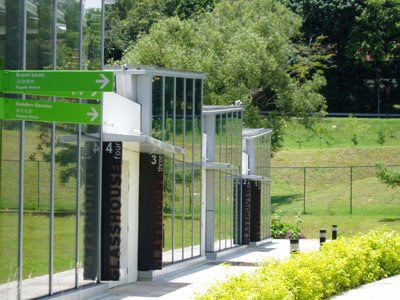 20) Kindly cross the zebra crossing and turns right to walk towards Henderson Waves. 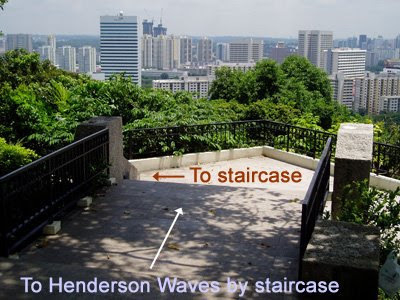 21) You will see this Henderson Waves view if you turns left (instead of right) from picture 20. 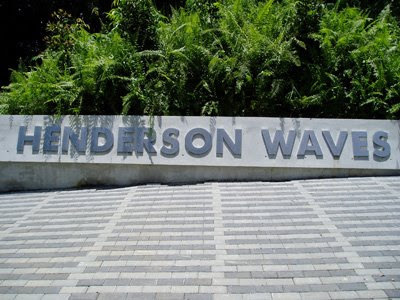 22) Henderson Waves is about 36 metres above the Henderson Road. 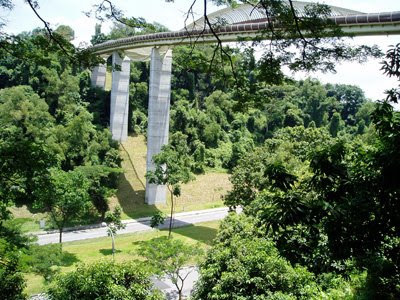 Henderson Waves is Singapore's highest pedestrian bridge that spans Henderson Road to connect Mount Faber Park to Telok Blangah Hill Park. 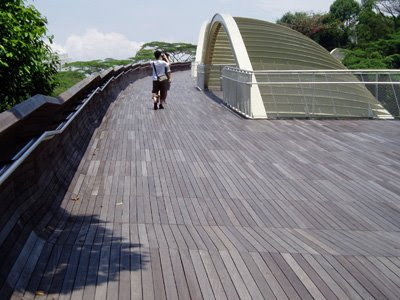 24) Henderson Waves Path (about 0.3 km). 25) Henderson Waves View 1 (RHS). 26) Henderson Waves View 2 (LHS). 27) Henderson Waves View 3 (LHS). 28) After crossing the Henderson Waves, you will see this Information Kiosk. No toilet is available here. 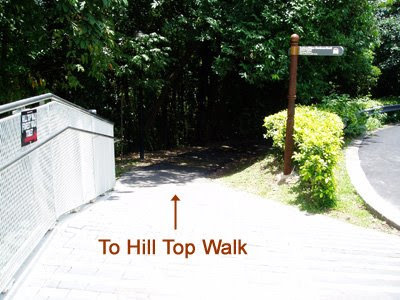 29) Kindly walk along this path that leads towards Telok Blangah Hill Park (Hill Top Walk is about 1 km). 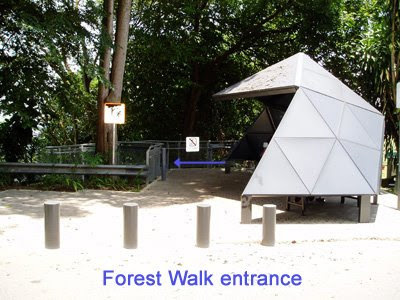 30) At the Telok Blangah Hill Park, please turns left to walk along the road towards Forest Walk. 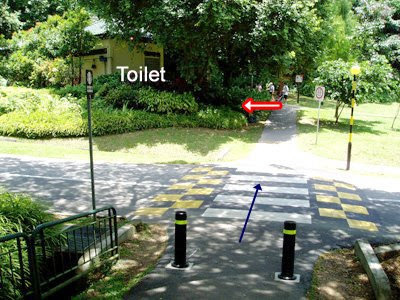 If you want to go to the toilet, please walk across the zebra crossing and turns left to go to the toilet. If you turns right, it will leads you towards Alkaff Mansion at the Depot road. 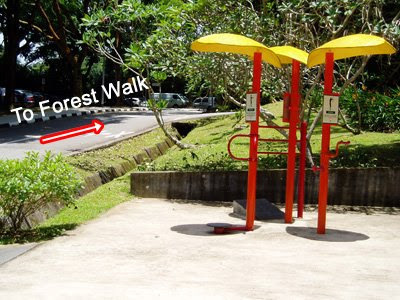 31) At the Telok Blangah Hill Park, kindly walk along the road that leads to the Forest Walk. 32) At this junction, both roads will lead towards Forest Walk. However, the road on the RHS (recommended) has the shortest route to reach Forest Walk. 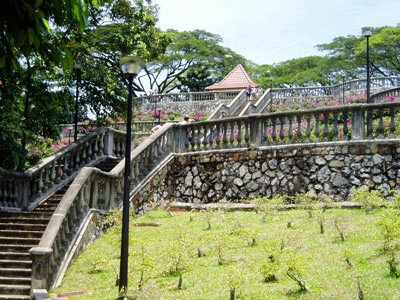 If you climb up the center staircase, you will go to the Telok Blangah Hill Park Terrace Garden. 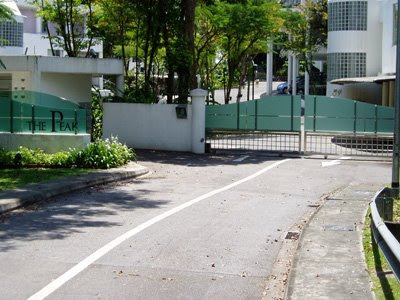 33) Terrace Garden is situated at the top of the Telok Blangah Hill Park. 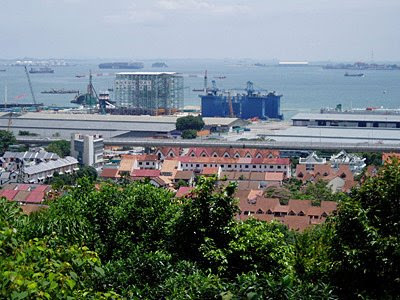 You can have a 360 degree view of Singapore here. 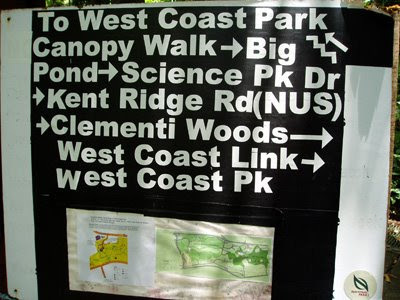 34) Forest Walk (about 1.3 km) Entrance/Exit. 35) Forest Walk View 1. 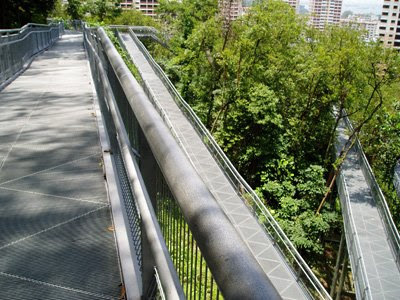 Forest Walk is made up of an elevated walkway rises to between 3 and 18 metres above the ground in the hilly terrain. 36) Forest Walk View 2. 37) At the end of the Forest Walk, you will reach towards Alexandra Arch. 38) Alexandra Arch Path (about 0.08 km). Alexandra Arch looks like an opened leaf across Alexandra Road. 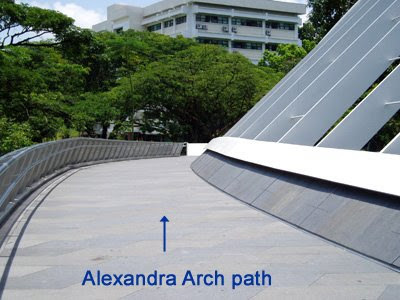 39) After crossing the Alexandra Arch, kindly walk in the direction shown to reach HortPark. You can see a sign (LHS of this picture) as shown in picture 40 that points to HortPark. 51, 61, 93, 97, 100, 120, 166 and 963. 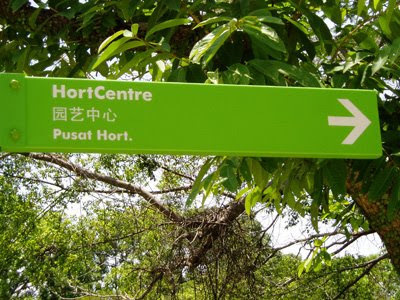 40) To HortPark sign (locates on the LHS of picture 39). 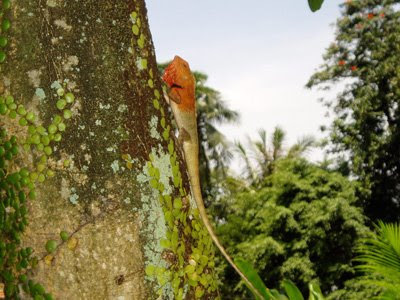 41) Agama lizard spotted when walking towards HortPark. 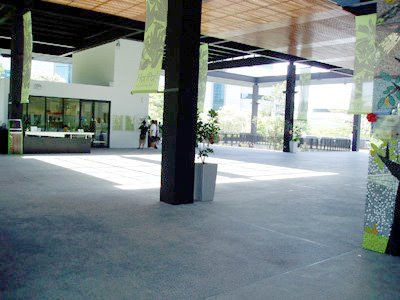 42) Toilet, drinking water, restaurant, etc are available inside the HortPark (gardening hub). 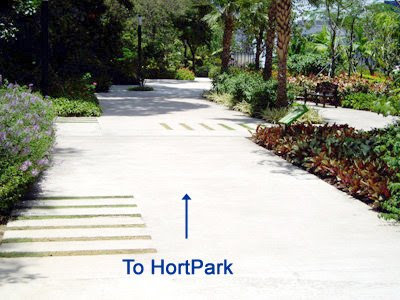 43) HortPark Floral Walk (about 0.3 km) Path 1. No shelter along the path. 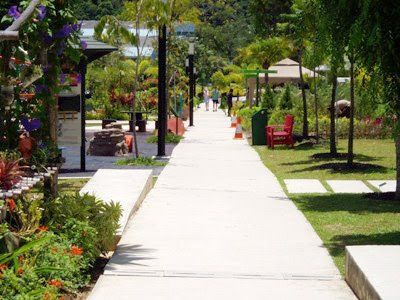 44) HortPark Floral Walk Path 2. No shelter along the path. 45) Prototype Glass House Complex inside the HortPark. 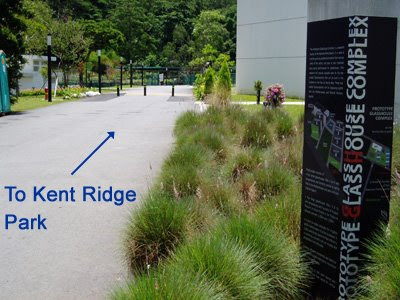 46) At the Prototype Glass House Complex, kindly walk along the road in the direction shown to reach Kent Ridge Park. 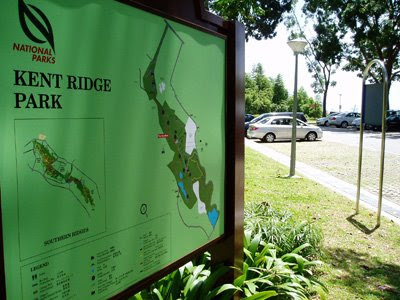 47) Starting point to Kent Ridge Park. 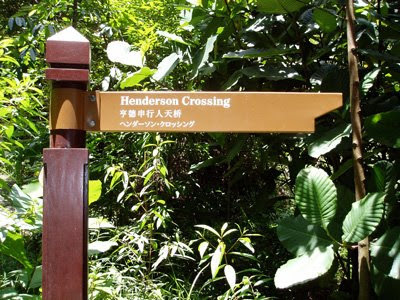 48) At this junction, it is recommended to turns left to go to the Canopy Walk. 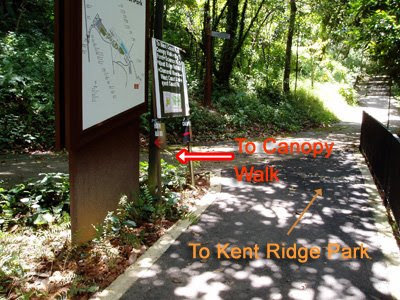 After finish walking the Canopy Walk, it will also leads you towards Kent Ridge Park. 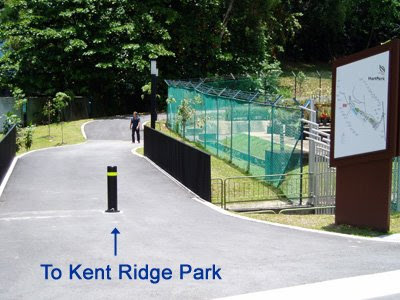 If you walk straight along the path, you will go to Kent Ridge Park. 49) The junction sign as shown in picture 48. 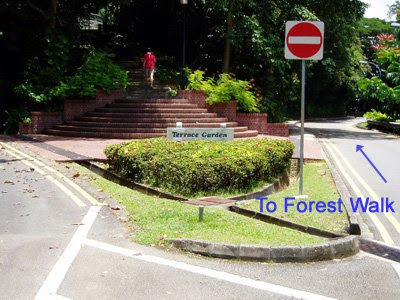 50) The Peak (assume you turn left at the junction in picture 48 to go to the Canopy Walk). 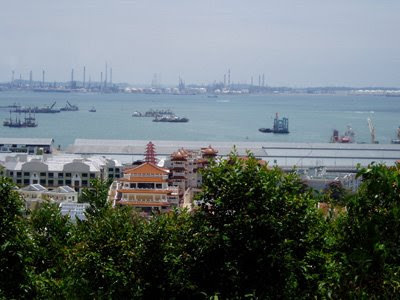 51) Reflections Of Bukit Chandu (assume you turn left at the junction in picture 48 to go to the Canopy Walk) is once known as Opium Hill and site of one of the last battles of Singapore in World War II. 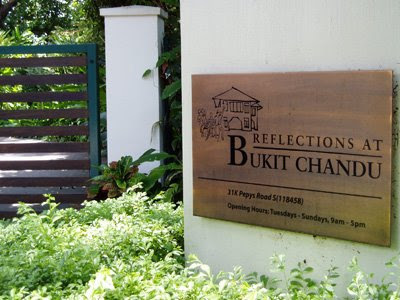 Reflections Of Bukit Chandu operation hours is Tuesday to Sunday from 9 am to 5 pm. Toilet is available inside the Reflections Of Bukit Chandu. 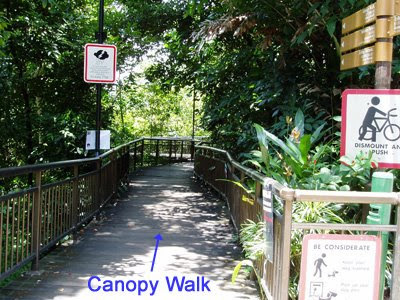 52) Canopy Walk (about 0.3 km) starting/ending point (opposites the Reflections Of Bukit Chandu). 53) Canopy Walk RHS View. 54) Canopy Walk Center View. 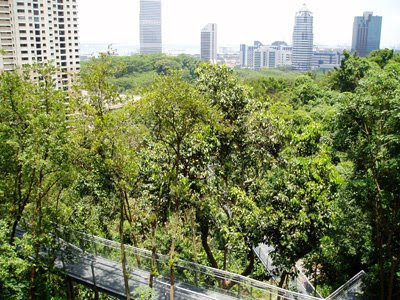 55) Canopy Walk LHS View. 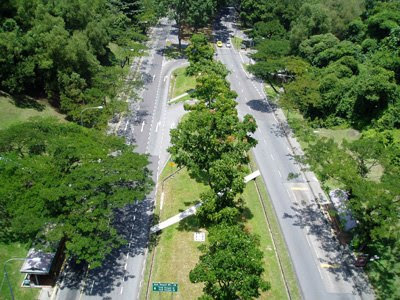 56) Kent Ridge Park carpark B. Kent Ridge Park has an important historical values as it was one of the last battle fields in Singapore during World War 2. 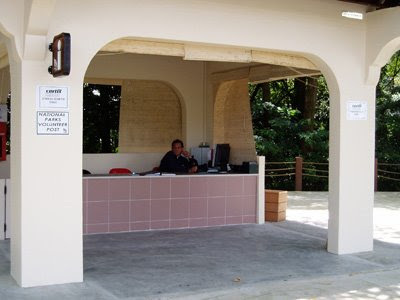 Toilet is available near the Kent Ridge Park carpark B. 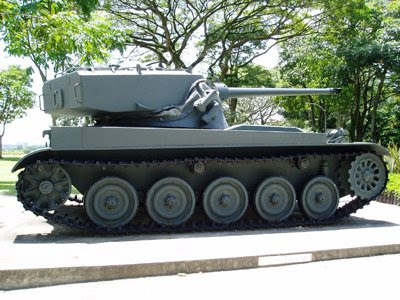 57) AMX-13 light Tank is displayed at the Kent Ridge Park carpark B. 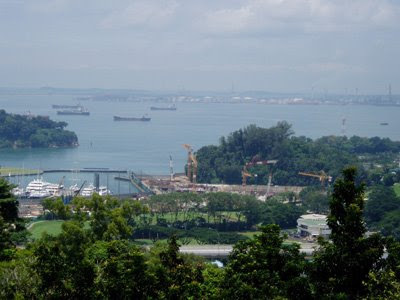 58) Kent Ridge Park View 1. 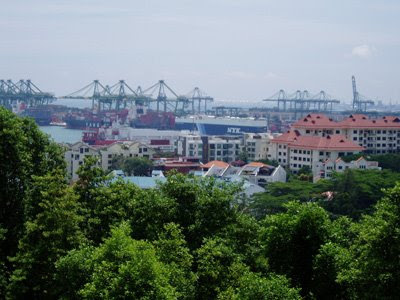 59) Kent Ridge Park View 2. 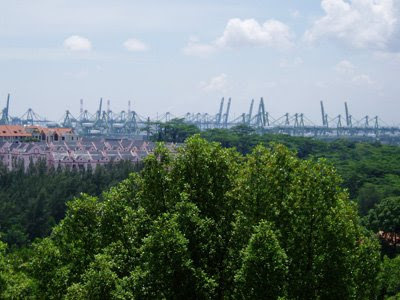 60) Kent Ridge Park View 3. 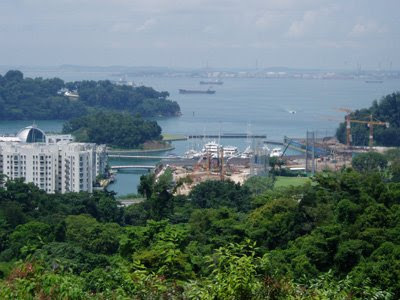 61) Kent Ridge Park View 4. 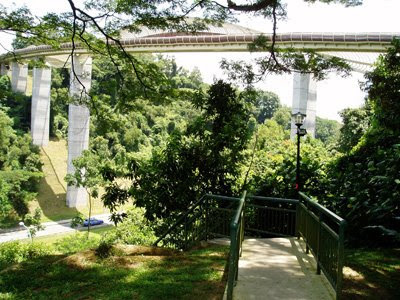 62) Kent Ridge Park View 5. 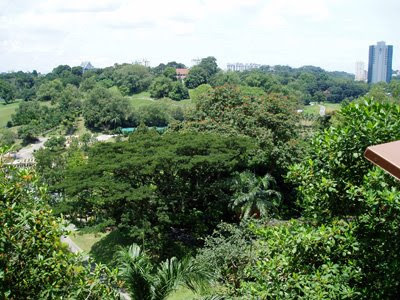 63) Kent Ridge Park View 6.